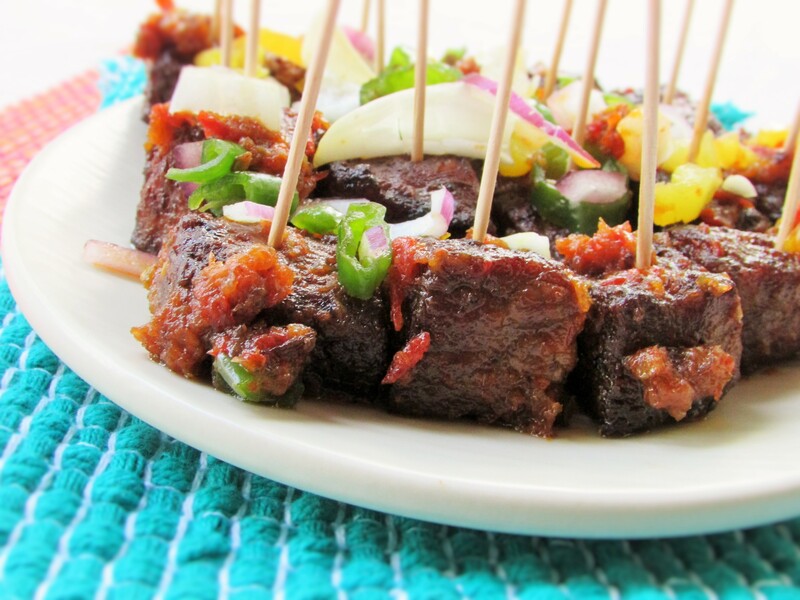 I remember eating peppered beef in Nigeria. Recently, I had a bad craving for it. I called my mother and told her about it and she started having cravings too. I decided to try a fried beef recipe which worked. 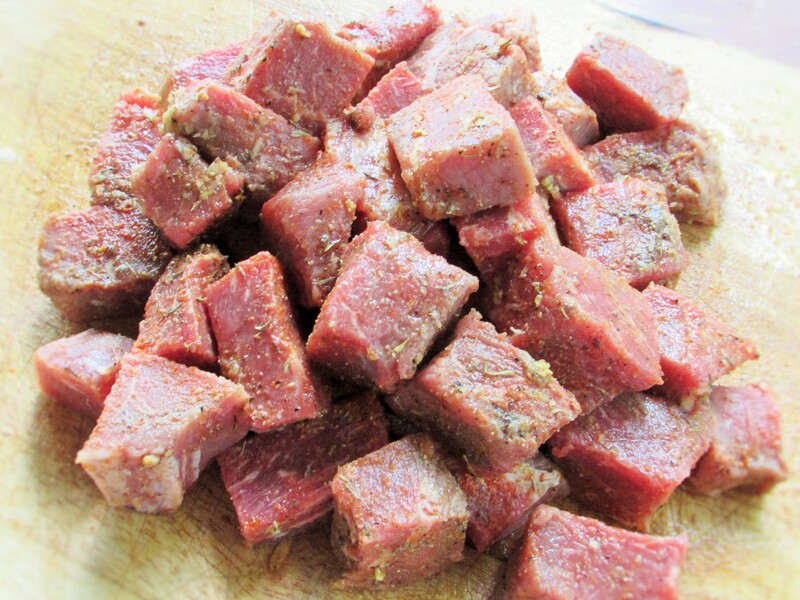 Growing up, my friend’s mother had a small fast food shop and she always made the fried peppered beef and peppered meats for the shop. My friend and I used to sneak and eat some meats and they were too good. Fun times I tell ya! I have not made peppered meats in a long time. 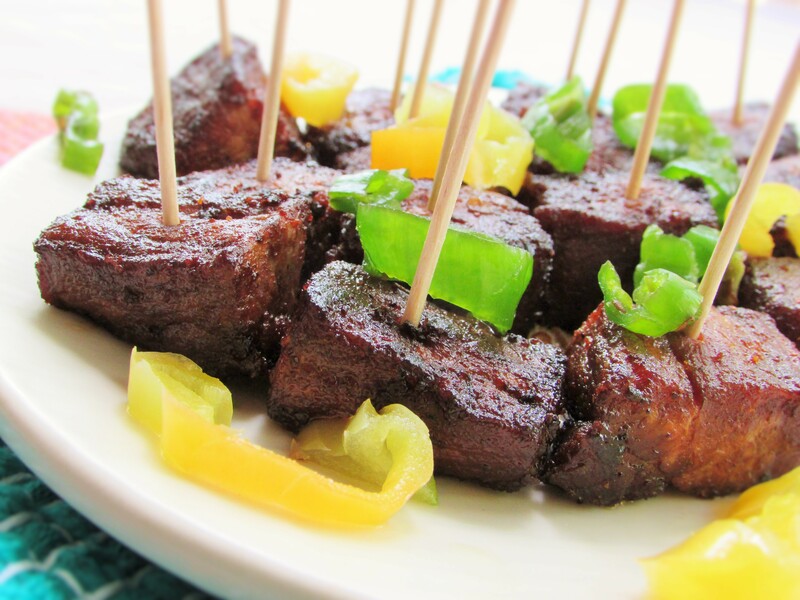 My mother never really made peppered meats with a lot of peppers because we never really ate peppers. But the interesting thing about this peppered beef is that, the beef is not precooked. Some people precook their beef and you may if you choose, but I find that marinating works absolutely well and better. 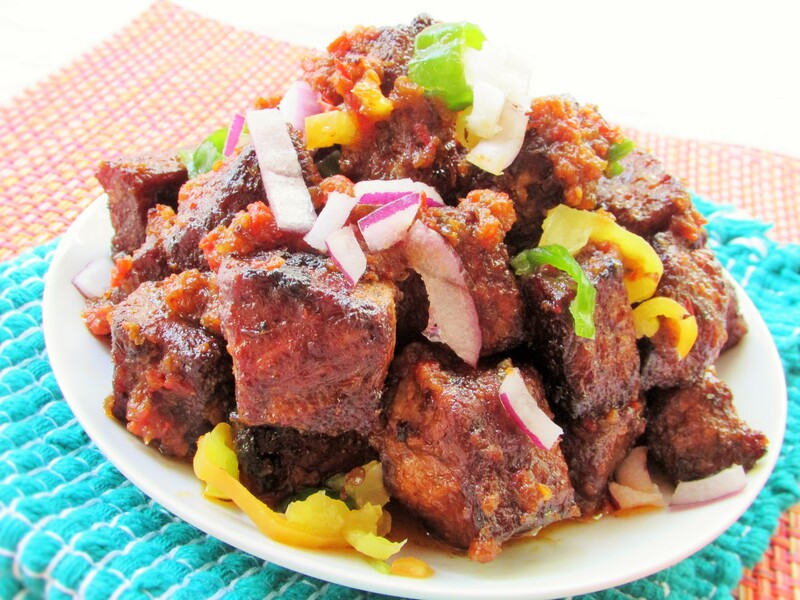 This peppered beef may be eaten as small chops or as a side to any main dish. 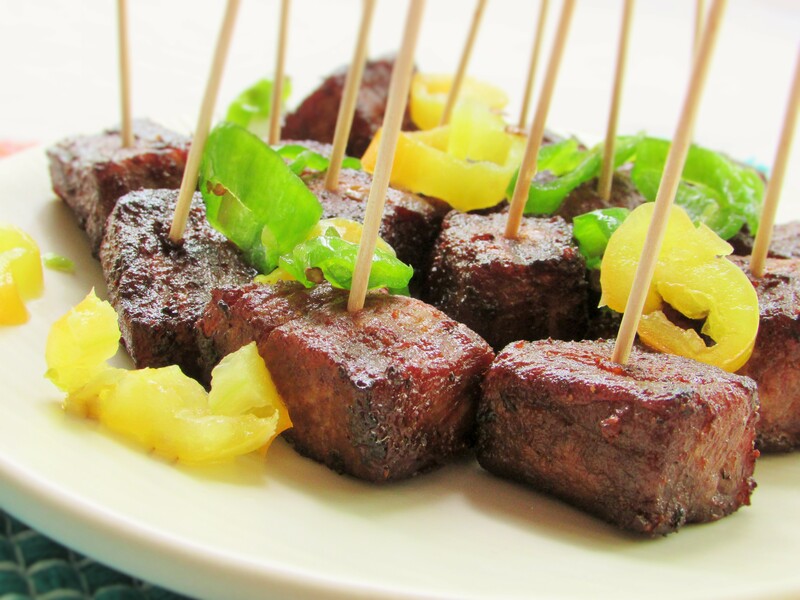 In a deep fryer heat some vegetable oil to 350degrees and fry beef until golden brown. Do not over crowd fryer. 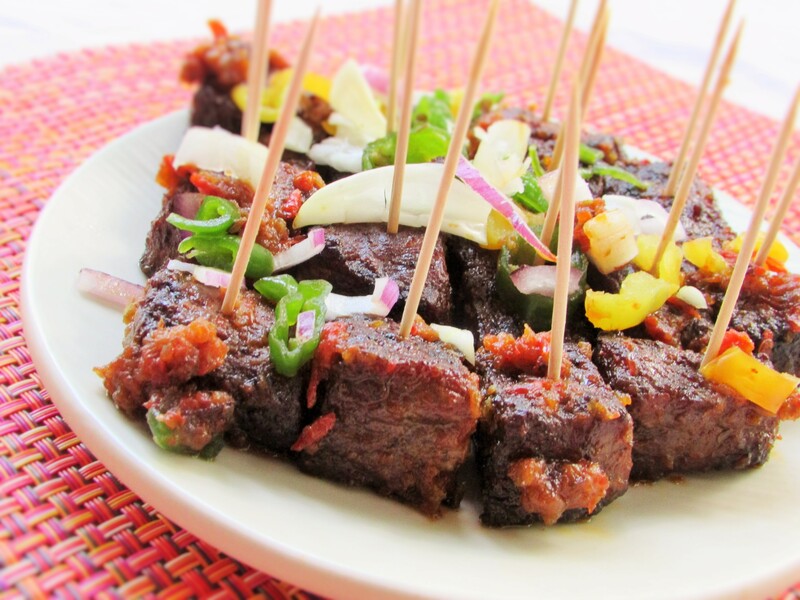 This entry was posted in Beef, Beef suya, Nigerian small chops, peppered beef, Protein, Sides, Small chops and tagged Atadindin, Atadindin recipe, Nigerian peppered beef, Nigerian peppered beef recipe, pepper sauce, peppered beef, peppered beef recipe, peppered meats. 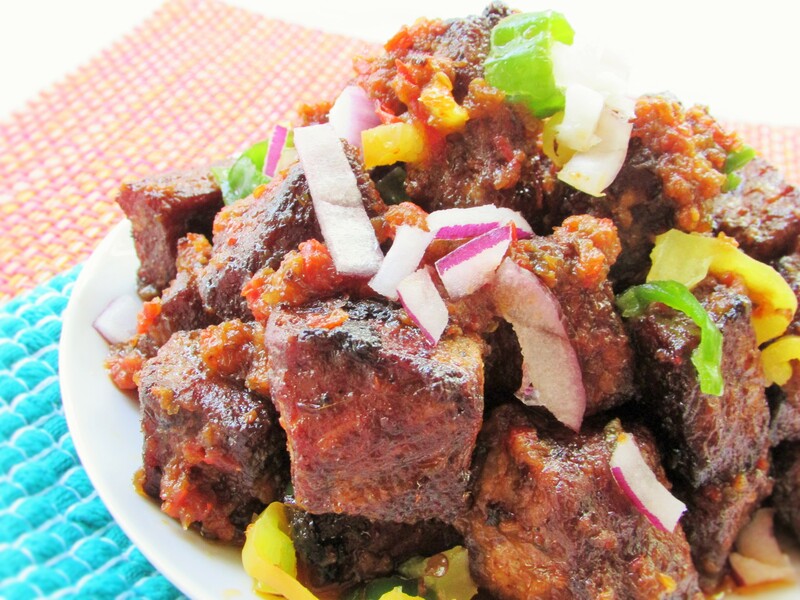 In a place like Nigeria where we have tougher cuts of beef, will you suggest boiling the meat first?